How can I create an exact copy of something like this ? To further assist you, please provide us more details of what you want to accomplish. From what I understand, when the user enters data and submit the form you would like to have a report or excel sheet same as the above image you shared, is that right? You can achieve this with the following method. 1. Navigate to the "My Forms" section. 2. Choose a form and click the "Reports" option. 3. 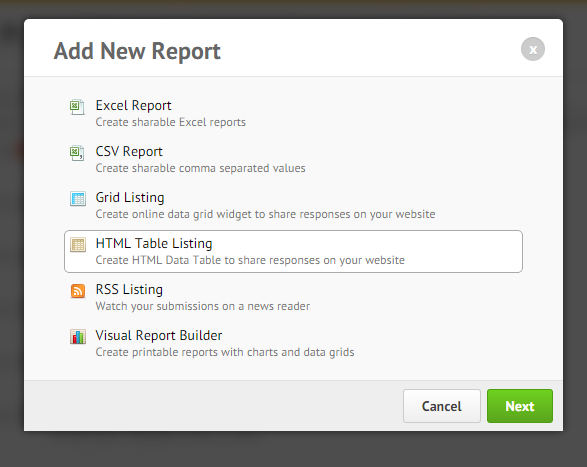 You can then add new report using different styles.